For the first time ever, GoCampingAmerica.com is launching a nationwide contest to find America’s best camping trip videos. GoCampingAmerica.com has partnered with El Monte RV to co-sponsor the ‘Not Bummer Summer Go Camping America Video Contest’ to find America’s best camping trip video. 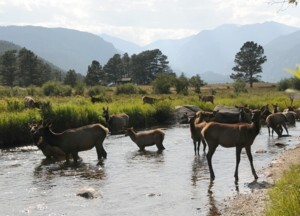 GoCampingAmerica.com features more than 3,300 parks across the United States, most of which are located in popular vacation destinations. between June 1st and Labor Day (midnight Sept. 5th). Video entries will be voted on through the ‘favorites’ option on YouTube between June 1, 2011 and September 5, 2011. The top two videos with the most ‘favorite’ votes that best depict a ‘Not Bummer Summer’ Camping getaway and most carefully follows the rules and regulations, will then be entered into a drawing and the first randomly drawn will be selected as the grand prize winner and the other entrant will be awarded the 2nd runner up. The third prize winner will be selected amongst the remaining top five ‘favorite’ votes and entered into a drawing and selected at random. An entrant may recommend to its camping guests, friends and families to ‘favorite’ the entrant’s video on YouTube. The grand prize winner will receive a weeklong trip in an RV, courtesy of El Monte RV, and free camping at GoCampingAmerica.com campgrounds. Other prizes include seven days and six nights of lodging at any GoCampingAmerica park, a $100 Camping World gift certificate, plus a $100 movie ticket certificate and other Judy Moody movie related promotional items. the movie please visit http://www.JudyMoodyMovie.com. For more information about the contest, visit www.GoCampingAmerica.com.